Pain is one of the most controversial topics ever as well as one of the most studied aspects in the field of sport science. The multifactorial components involved in the onset of pain cannot be overlooked when trying to approach the management of pain in athletes: traumas, daily stress, training load, recovery needs, fatigue accumulation, tissue stress, travel frequency, nutrition and sleeping habits, all these contribute to creating the neurological/biochemical breakdown leading to pain appearance. Reductionistic approaches in the fields of sports performance have sometimes overlooked both aspects of the same coin: the management of pain and its resolution. Trying to manage pain by alleviating acute conditions is one aspect that needs to be considered at the same level as trying to manage it by solving the root cause of the problem. Providing a firm answer to the long-standing question about how and why pain appears still is impossible today although we have, as performance professionals, much more scientific evidence and practical experience than ever: Conflicting evidence as well as a very complex etiology, make it almost impossible to classify and clearly qualify the multifaceted nature of pain. What we know is that the majority of musculoskeletal pain, in absence of traumatic events, is related to dysfunctions in movement patterns, timing and coordination. Shirley Sahrmann with his revolutionary Movement Impairment Syndromes concept (Sahrmann, 2001) marked an era by overcoming the concept of pain site treatment versus the identification of the origin of pain and its correction. The idea that pain is related to a faulty movement pattern leading to biomechanics dysfunctions and tissue stress has shifted the attention from the treatment of the symptoms to the restoration of proper movement patterns and communication at the nervous system level to treat the source of pain. 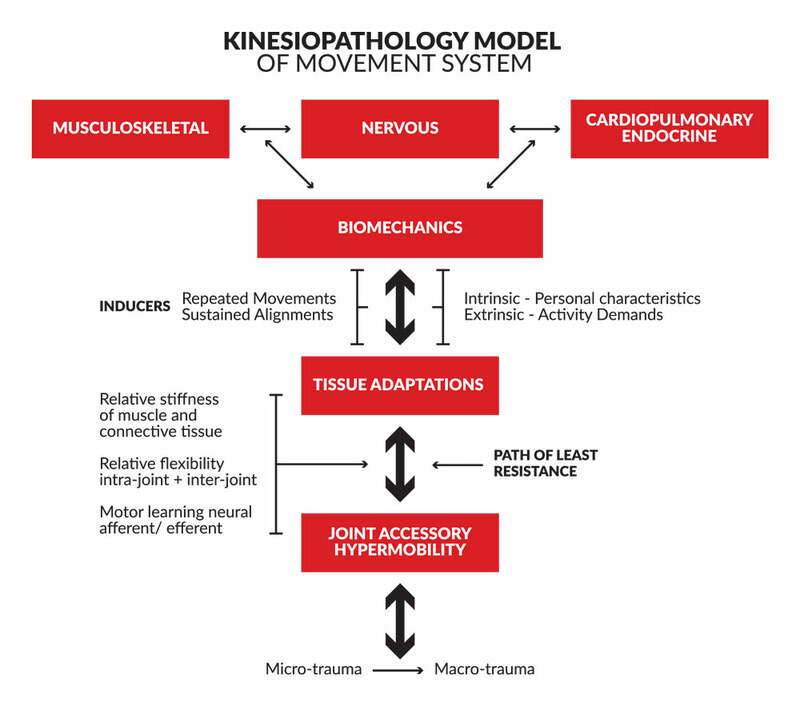 The kinesiopathology model of movement system, underlying the conceptual framework of Sahrmann, it’s characterized by the assumption that pain syndromes are induced by pathoanatomical changes in tissue (relative stiffness) and joint structure (relative flexibility) due to repetitive use of dysfunctional movement patterns over time. Other aspects related to the origin of pain that have been investigated includes inflammation and inflammatory response (Omoigui, 2007), autonomic dysfunctions (Bakkers et al, 2010), myofascial origin (Sergienko, Kalichman, 2001) as well as degenerative disc disease and spondylolysis in back pain (Mortazavi, Zebardast, Mirzashahi, 2015). The discussion on the nature of pain leads us to the first important difference to outline when dealing with athletes: the difference between the concept of pain resolution and pain management. Pain resolution is the approach in which the pain signal is blocked by eliminating the source of the problem; pain management is when there is an urgency to block pain when time for recovery is limited and competition schedule is very tight. Looking for the source of pain is the correct approach but it is sometimes a long-term approach in order to keep athletes healthy and in the correct neuromuscular condition. Unfortunately, in the real world, we need to deal with situations in which the onset of pain is unexpected and it’s arising in absence of any trauma or muscle strains and we have to keep the players on track to get their job done and perform. There is a long history in using pain relief medications and NSAIDs in sports medicine and performance which have a series of side-effects including hypertension, gastrointestinal diseases and asthma exacerbation (Paoloni et al, 2009). Still, during international events like Olympic Games and FIFA World Cups, the daily use of NSAIDs has been reported to be at 25-35% as seen in Huang, Johnson, Pipe (2006) and Tscholl, Junge, Dvorak (2008). Transitioning to new methods for managing pain in athletes is imperative, especially in the high level of competition reached by professional sport today: the amount of daily stressors imposed on the body by the summation of internal and external stimuli is not able to allow the addiction of an ulterior biochemical disruption caused by medications. The use of methods like TENS (Transcutaneous Electrical Nerve Stimulation) currents as delivered by the PainPod is going to become a more profitable way to treat pain without the side-effects of drugs and medications. The biology of neuromodulation and the use of TENS currents in sports performance will be the topic for the next article. Bakkers L., Faber C. G., Drent M., Hermans M. C. E., Van Nes S. I., Lauria G., De Baets M., Merkies I. S. J. Pain and autonomic dysfunction in patients with sarcoidosis and small fibre neuropathy. J Neurol. 2010 Dec; 257(12): 2086-2090. Huang SH, Johnson K, Pipe AL. The use of dietary supplements and medications by Canadian athletes at the Atlanta and Sydney Olympic Games. Clin J Sport Med 2006;16:27-33. Mortazavi J., Zebardast J., Mirzashahi B. Low back pain in athletes. Asian J Sports Med. 2015 June; 6(2): e24718. Omoigui S. The biochemical origin of pain – Proposing a new law of pain: the origin of all pain is inflammation and the inflammatory response – A unifying law of pain. Med Hypotheses. 2007 ; 69(1): 70-82. 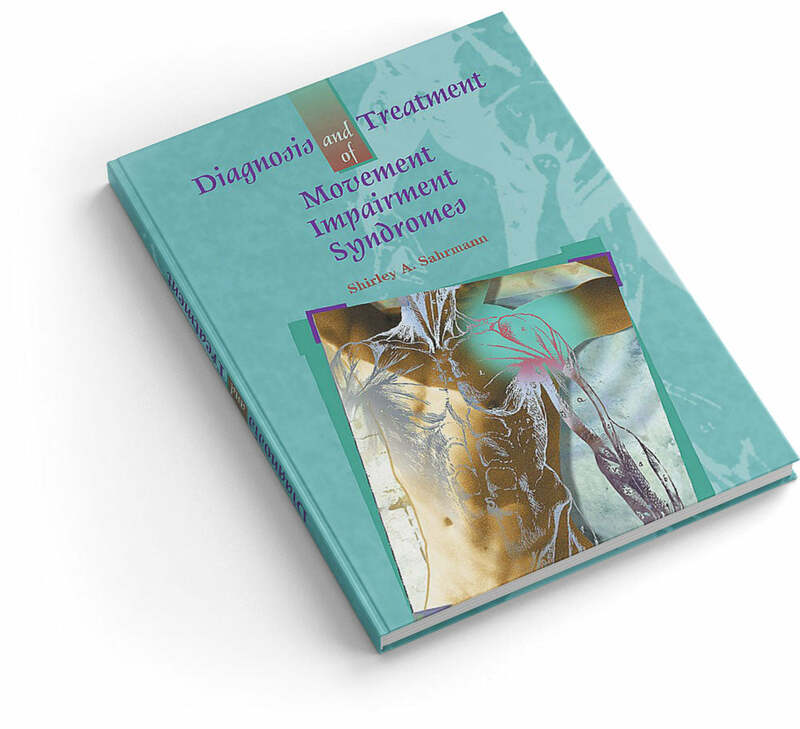 Sahrmann S., Azevedo D. C., Van Dillen L. Diagnosis and treatment of movement system impairment syndromes. Braz J Phys Ter. 2017 Nov-Dec; 21(6): 391-399. Sergienko S., Kalichman L. Myofascial origin of shoulder pain: a literature review. J Bodyw Mov Ther. 2015 Jan;19(1):91-101. Tscholl P, Junge A, Dvorak J. The use of medication and nutritional supplements during FIFA World Cups 2002 and 2006. Br J Sports Med 2008;42:725-30.